Infused with the label’s signature dark romanticism and urban styling, French fashion house Givenchy continues to celebrate the label’s house codes through sharp tailoring and expert craftsmanship. 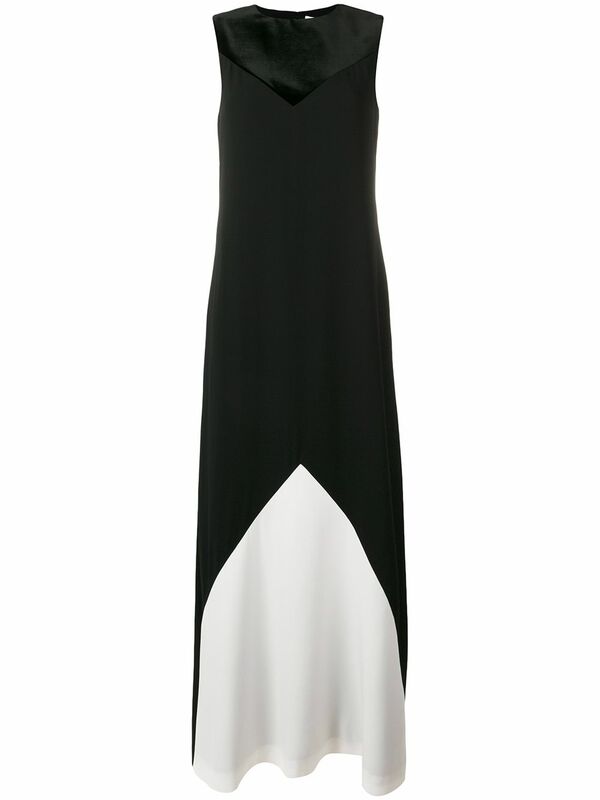 Crafted in Italy, this black and white colour-block evening dress from Givenchy features a round neck, a concealed rear zip fastening, a sleeveless design, a shift silhouette, a long length and a white-coloured V-shaped insert on the bottom of the skirt. This item fits small, please select half a size up.